With Instagram continuous growth of users, it's obvious that if your online and want to compete online, you've got to have a great Instagram profile. So, how is it done? Is there a magic wand that waves over a few select profiles that makes follows increase by 100%? No, not even close. These eight tips from Social Media Examiner is a great start to help you build your fan base on Instagram. 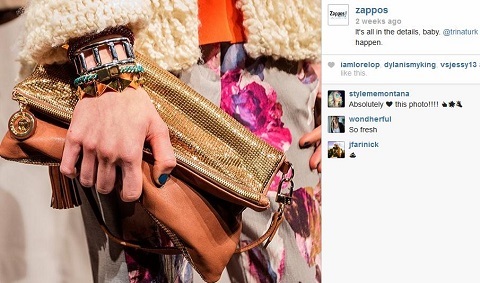 Striking visual content grabs the attention of potential buyers, and it’s the most important factor in fan engagement on Instagram for brands like Zappos. High-resolution photos are more likely to catch someone’s eye. To that end, I recommend posting only high-resolution photos on Instagram. Smartphone photos are good for in-the-moment action and instant uploads, but consider hiring a professional photographer to take HD images of your products. Part of the reason people follow your company on Instagram is that they like your products and want to know about new products and discounts. Include a link in the image description to make it easy for fans to buy your product. When Nike posts product pictures, they use the image description to include a link to the relevant product page on your website. Your followers will appreciate how easy it is to buy or find out more about the items they’re interested in. It’s no secret your endgame is a sale, but you don’t have to make it obvious. Use your photos to tell a story that resonates with your followers and subtly features your product. Use subtle marketing and showcase user pictures when possible. 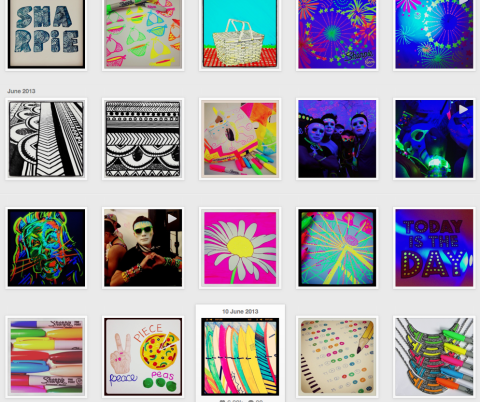 Sharpie‘s Instagram stream is a great example of subtle selling. They don’t show their products as much as they show what people can do with their products. Sharpie gets in front of their audience with compelling content while selling their product, but they do it in a way that’s not intrusive. Much of Sharpie’s content is actually shared by their followers and reshared by the company, and their fans look forward to seeing the inspiring pictures. Don’t feel like everything you post needs to be a product picture. The NHL knows that behind-the-scenes photos that reveal your company’s personality help build a personal bond with your audience. 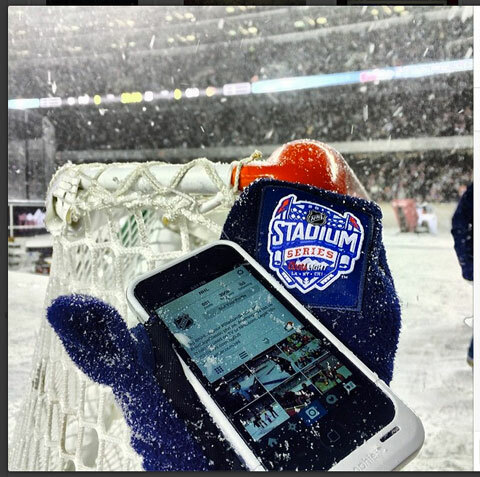 The NHL takes their fans and followers behind the scenes, on the ground with Instagram. The more you share those in-the-moment photos and engage with your fans, the more your fans feel like part of your company community. That kind of bond is what creates loyal fans who later become brand evangelists. Instagram Direct allows Instagram users to send pictures and video to others privately; a direct message (DM) on Twitter or a private message (PM) on Facebook. Only you and the person or group you send a message to can see the content and subsequent conversation. With Instagram Direct, you can reach your most engaged fans via a personal message. In fact, you have the option to reach out to individual followers or create a group message of up to 15 followers. You can even segment your group based on location and demographics. What an opportunity! To find your most engaged fans, look through your photo stream and see which followers stand out. Perhaps there are fans who comment a lot or favorite your photos more than others. Your most active fans are the most likely to buy your products. When you’ve identified your most active fans, you can create a group message to introduce new products, announce giveaways and contests, drive traffic to your website and more. You can also use Instagram Direct as a chat forum. You can invite a group of people to attend a Q&A session, introduce a product with quick how-to advice or even handle customer complaints. Keep in mind that you still have to send a picture out to the group to get started. Instagram Direct doesn’t support text-only messages. When you use Instagram Direct as a marketing tool, it’s extremely important to send something creative and interesting. Anything that appears remotely spammy will end with those users unfollowing you. One of the main reasons people follow brands on any platform is to get information about sales and discounts. 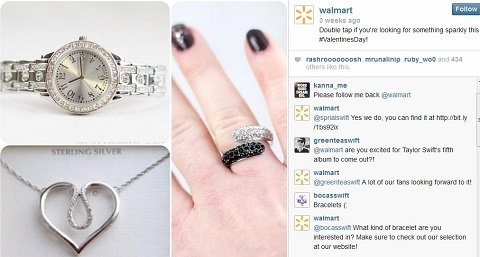 Like WalMart, you can capitalize on that by rewarding your fans with exclusive deals, either publicly via the Instagram feed or privately via Instagram Direct. Reward followers with discounts and special offers. You already know word-of-mouth marketing is a powerful thing. When your followers get exclusive discounts, they tell their friends. Those friends are likely to follow you as well to get the discount. Giveaways and contests are always popular with fans and brands. And why not? They generate buzz and each side benefits. Your fans have an opportunity to win something and you have an opportunity to reach a wider audience and gain new followers. Keep your giveaway or contest theme simple, fun and brand-related. If it’s too broad, you’ll get irrelevant photos from people who aren’t interested in your brand or products. If it’s too narrow, people won’t bother to take and share pictures. 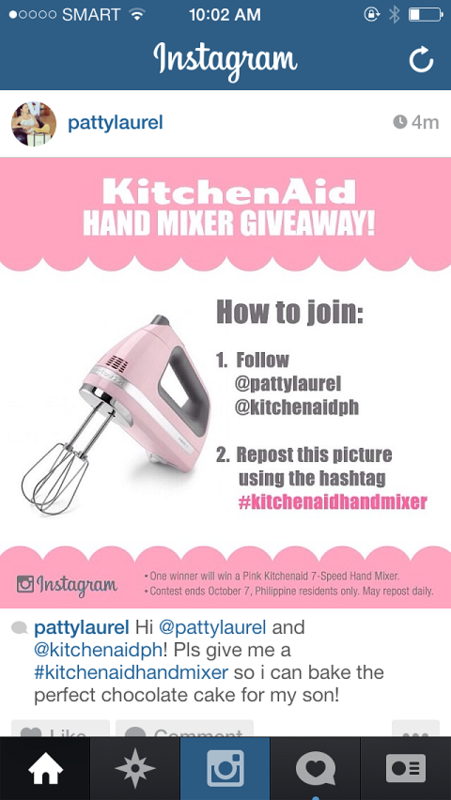 KitchenAid used a branded hashtag so they could track entries and reinforce their brand. When you host your giveaway or contest, use a unique hashtag. Without a hashtag, you won’t see all entries or be able to track your success. Using a hashtag that includes your brand’s name gives you the added benefit of clearly branding your campaign. Above, you can see how KitchenAid included key information in their image and made their brand stand out. Did you know you can stream Instagram photos to your website? Cool, right? 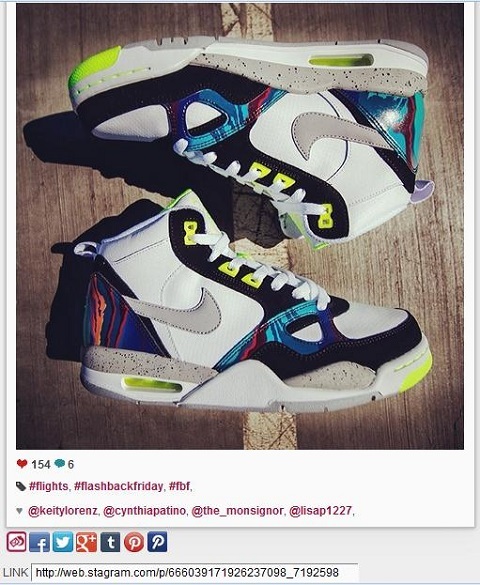 Sharing Instagram photos from campaigns (like a giveaway) is great for exposure and sharing. Even if you’re not hosting a giveaway, ask followers to share Instagram pictures of themselves using your product (don’t forget to have them use your hashtag!). 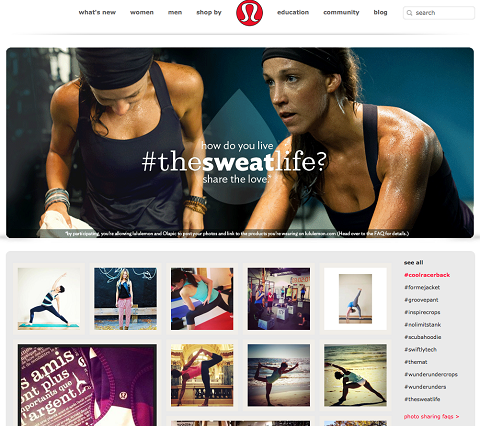 Lululemon promotes their #thesweatlife hashtag by streaming Instagram photos shared by their fans. They’ve even segmented their apparel with additional hashtags. Ask fans to share pictures of your products, then stream them to your website. Here’s an important tip: You must be familiar with and follow Instagram’s terms of service. In this instance, you need to know that you can’t save submitted photos. Just because someone submits a photo does not mean you own it. When you embed an Instagram photo stream on your website, you may only use the appropriate Instagram URL. If a user removes his photo from Instagram, the photo will no longer show on your website. Not only is Instagram perfect for connecting with customers, its image- and video-based format is ideal for increasing brand awareness and user engagement. It’s a goldmine of promotional opportunities. The more your company participates in the community and shares compelling photos, the larger its community will grow. Once you have a sizeable audience, you can start generating buzz through public and private campaigns, as well as giveaways or contests.